This picture says it all. Look carefully. What do you see? Barney Fife, Goober and Warren get to wear their combat duds. How exciting! Badges, armed to the teeth. SRT. SRT! Automatic weapons. Right index fingers carefully straddling the trigger housing. The look of badass. Robocop. Buford Pusser, move over. The heat’s in town. The man. A force to be reckoned with. Little boys and their guns. Why? To protect Casey? Hardly. As the photos later reveal they walk them out the door, make an about face and Jose and Casey are on their own. The SRT of the OCCD and their SOP say SOL to J and C.
No Kevlar or flak jackets or body armor for Jose and Casey. Now, does that make any sense? No clandestine release, no diversion or decoys. What?! And miss the photo op? No way, Jose. Literally. Watch for a liaison to develop instanter between Jose and his client. Think a version of the Stockholm Syndrome, but instead of identifying with your captor, you identify with the man who slew your captor. Trust me. Jose will make the money, not Casey. No one will pay her a dime to grace their airwaves with a blanket denial of guilt or complicity in the murder of her daughter. Not to mention, if Casey dared say that she never claimed that her old man or brother molested her, the question becomes: Did Jose make that up? Did he lie? And as an officer of the court who went through years of considerable hoops to get his ticket, this could spell doom yet again to his rising career. Can you say Johnnie Cochran? So, she’ll only get paid if she admits she killed her kid and that simply won’t happen. Don’t forget the slew of civil suits that are being teed up in the hopes that Casey gets a few bucks. That’s interesting because then Casey will be forced to testify: no Fifth, no high five.Testify under oath under pain of perjury. Move over Susan Boyle. Meet Saveta Jovanoviċ. Hirsute and hispidulous, what a talent. What does this have to do with anything? Nothing. And that’s my point. It’s a brain riff. Brain flatus. Welcome to the mélange. On Wednesday a subhuman piece of walking slime made a full written confession to the cops detailing how he smothered a Brooklyn Orthodox Jewish boy, Leiby Kletzky, 8, with a towel and then dismembered him. It gets worse, if that’s even possible. Police found some of the boy’s dismembered remains including the child’s feet in Ziploc bags in the killer’s refrigerator; other body parts were deposited in dumpsters. And to think, we share DNA with this animal. Why? Please, someone tell me why. I normally shy away from discussions about horrible stories like this because I have such a fear that I might be mistaken for the schmaltzy no shite commentaries from the paragons of the obvious who, miraculously, are against the murder and dismemberment of innocent children. And yet, despite the horrors of this event, there remain many fascinating questions that I explore herein. Never approximating schmaltzy, I assure you. This is the end, (not so) beautiful friend. PM David Cameron’s office announced that the government will support a motion calling on Murdoch and his News Corp. to withdraw the $12B bid for BSkyB. Gulp! Cameron’s 180 means Murdoch, who once held unimaginable influence in British politics no matter which party or who was in charge, now finds all three major political parties treating him like the proverbial purple-headed syphilitic leper stepchild. (Tasty, huh?) Rupe’s even been “asked” to appear before lawmakers sometime next week to answer questions about the conduct of News International, Murdoch’s UK company. Cue the Dragnet theme. But as I explain herein, what doomed the man who once sported Tang-colored hair was what his News of the World did to the family of Milly Dowler, the 13 year-old British girl who in 2002 was abducted as she walked home from school and eventually murdered. Rupe’s NotW goons hacked into her mobile phone voicemail box and deleted messages to make room for more, thus giving her frantic parents the false hope that maybe Milly was still alive and checking her messages. That doomed Murdoch’s crew.This story has no American analog. This isn’t about the government spying; it’s about greedy corporate media slimebags using the cops to spy on citizens. And it’s only begun. Stay tuned. My thoughts exactly, counsellor. This half a peace sign was presented by one of Casey Anthony’s lawyers, the inimitable and homespun un-Matlock Cheney Mason. Must be something about the name Cheney, I suppose. (At least he didn’t shoot an elderly man point blank in the face with birdshot. But the day’s young.) Cheney’s gesture is the subject of many a news story and I think we know why. But the discourtesy notwithstanding I can understand his contempt at and for the treatment of his client and his cause by the likes of that flaring-nostrilled termagant, the prosecution pimp, that haridan and harpy Nancy Grace(less) and her band of pitchfork-wielding vigilante banshees on HLN. Herein is my postmortem of the case. My closing arguments. My final thoughts. Final . . . at least until the story teat is squeezed dry altogether. How to destroy the arguments of Nancy Grace vigilante types who clamor for Casey’s execution and dispatch. 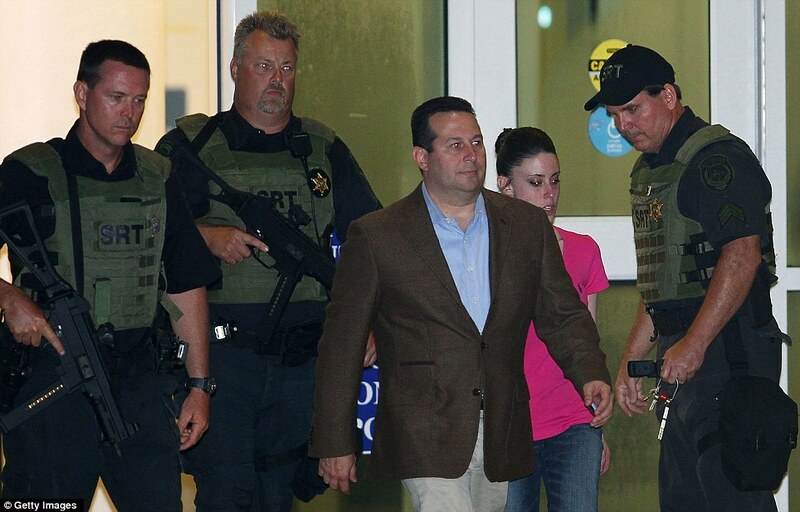 My fantasy civil trial with Casey Anthony forced to take the stand. The absolute insanity of the Boeotians clamoring and chanting for an appeal. Of an acquittal?! How no one shows the same amount of feigned disdain when innocent people are sentenced to death. That despite her myopic and corn pone, hayseed Mayberry prattle, Nancy Grace(less) is box office and the soporific, mind-numbing commentaries of Jeffrey Toobin et al. can’t even carry her elastic-waist pantsuits. I don’t want to say I told you so, BUT I TOLD YOU SO! This woman supra is despicable, a deplorable maenad . A trollop and slattern. A waste of flesh. But she’s not guilty of anything because the prosecution proved nothing. Here’s everything you’ve ever wanted to know about the inner workings of down-and-dirty criminal trial work. This should be given CLE credit. Forget about anything you’ve ever watched on TV or movies, Flawda’s my neck of the woods and I slugged it out in the bowels of the courtroom as a “Wild West” Assistant State Attorney for the 13th Judicial Circuit (Hillsborough County) and then as a criminal defense trial lawyer. A trial warrior! I’ve dealt with the flotsam and jetsam of society. The dreck, the underbelly of humanity — and those were the judges. Listen to this unabridged, unfettered, unplugged disquisition on and of realities of trial practice. Contains gluten. Behold the founding fathers. The Native Americans, the indigenous tribes that we all but wiped off the face of the earth. Behold the U.S. of A. on its 235th birthday and its wonderful legacy: African enslavement, subjugation of women, voting irregularities and denials, Dred Scott, Japanese internment, the McCarthy era blacklisting, the Gulf of Tonkin, JFK’s assassination — and if that ain’t an inside job, there aren’t any inside jobs. The Tuskegee syphilis experiment, MK-ULTRA. Oh, why bother? Here, read these later. This namby-pamby saccharine presentation of this country’s history by doltish Archie Bunker, Ted Baxter, John Wayne corn pone and yee-haw bunkum types is enough to make me spew Vesuvius-like emesis. We’ve a long way to go before we can claim this country is as perfect as these Lee Greenwood yokels attest. Just look around, Sparky. Look what’s happening to our believed Bill of Rights. And do you think we’re the only country that has free speech or “freedom”? Just like when a person loses a lot of weight, it’s the maintenance that’s critical. And as far as losing our tyrannical bloat, we’ve made improvements but we’re still obese. One of my heroes Clarence Darrow in his call for radical change (if not revolution) said, “And if it shall come, when you look abroad over the ruin and desolation, remember the long years in which the storm was rising and do not blame the thunderbolt.” Be the thunderbolt. Beware of the airbrushed historical revisionist. Remember the wilder the waving of the flag, the bigger the flag lapel pin, the less the bumpkin knows.